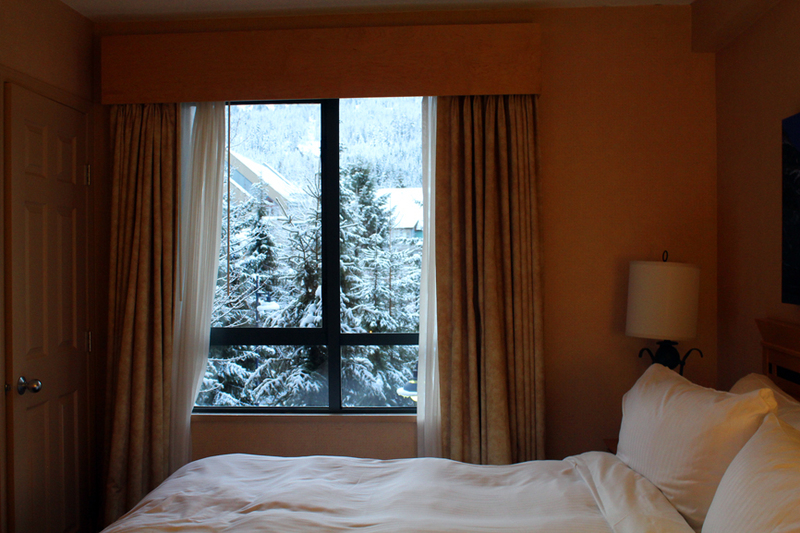 This time, we are staying in Whistler, which hosted the 2010 Winter Olympics last year. I used to snowboard a lot as a child, but I had never been to Whistler. But my friends had always told me, “It’s really good. It’s like, reallly good!”. And thanks to the Canadian Tourism Commission, I was finally able to come visit. People come from all over the world to visit here, it’s very ~International~. And there are many Europeans and Australians here on Working Holiday. And there are a lot of good places to eat… including Sushi restaurants. I could finally eat one of my favorite foods, “Beef Dip”, which I missed so much in Japan. Do you know what Beef Dip is? 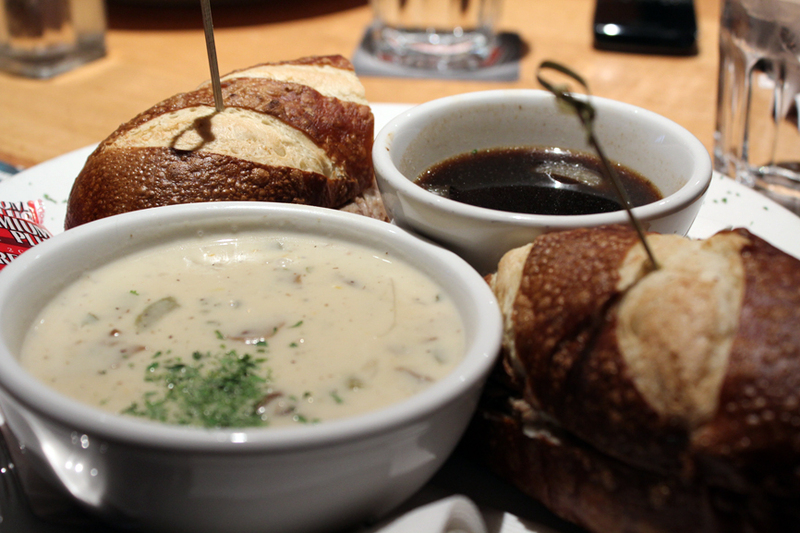 You dip your beef and horse-radish sandwich into it’s own beef au jus. The perfect food for a cold winter. I want to give you a tour of my room later. Although it will take time for me to edit the video stuff together. But in the meantime, this is my bedroom. Yes, the bed has it’s own room. Also I could fit like 6 people on this bed. 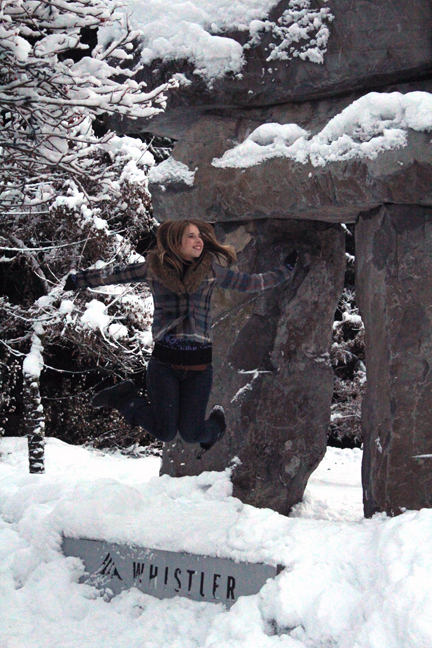 I got to do a lot of things in Whistler. I guess I enjoyed snowboarding the most, after all. Tomorrow we go back to Vancouver and head to the Yukon! But Whistler has been a favorite so far. I’ll give you a report again tomorrow from the Yukon! Posted in Canada, Events, Micaela, Tourism, TravelTagged #RealCanada, 2011, ウィスラー, カナダ, カナダ観光局, グルメ, スポーツ, Blackcomb, Canada, CTC, 英語, 食べ物, 観光, food, JetDaisuke, Micaela, Tourism, travel, Vancouver, Whistler, 冬, 旅行, 日本語Bookmark the permalink. Should be fun to travel such a lot of place, HE, Mikaera. I love that last picture! Keep them coming! That room looks really expensive, but really nice. You don’t see a lot of fireplaces nowadays. It’s really really cool photos and video! I always enjoy to see it. Thanks! What’s kind of video program do you use? and which camera do you use?